In his first budget address, Gov. 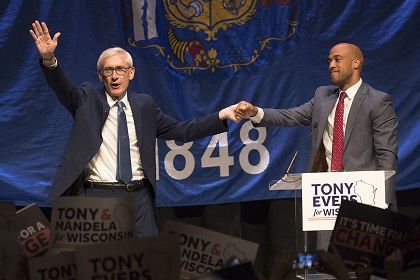 Evers outlined a welcome and ambitious plan to not only pursue the measures outlined above, but to also legalize medicinal marijuana, provide tax relief to middle-class families, allow undocumented people access to formal identification, ensure clean drinking water for the people of Wisconsin, and take partisanship out of the redistricting process. “I was especially pleased to see Gov. 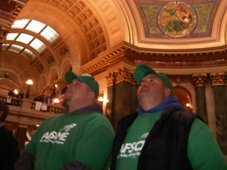 Evers’ commitment to properly fund education at two-thirds in his budget. We can lead the Federal Government to match us and recommit two-thirds funding for the whole country. While this budget is likely going to be the subject of much debate, ensuring our children’s education futures should be a point of bipartisan agreement from a Governor that was the former State Superintendent of Public Schools. I sincerely hope that my Republican colleagues can agree that the Education section of the budget should be agreed to in full. For the first time in eight years, we have a Governor that is listening to Wisconsinites says Shilling. “It’s a new day in Wisconsin. For the first time in eight years, we have a Governor that is listening to Wisconsinites and connecting the dots to create a budget that reflects our values. It’s clear that this proposal isn’t a Republican budget or a Democratic budget, but the People’s Budget – a budget that restores tax fairness for working families, puts more money into local classrooms, and ensures more Wisconsinites have access to affordable health care. We talk about healthcare reform, Medicare For All, BadgerCare, and our efforts to support the Governor as he starts his new administration. 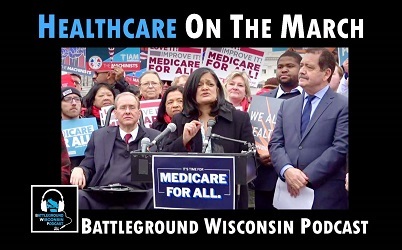 MILWAUKEE - This week progressive Democrats in Congress introduced the gold standard in healthcare reform, Medicare For All, with an impressive 100+ co-sponsors. We talk about why the bill matters despite its dim prospects for immediate passage. Turning to Wisconsin, we look at the official announcement by Governor Tony Evers that he will include BadgerCare Expansion in his first state budget. 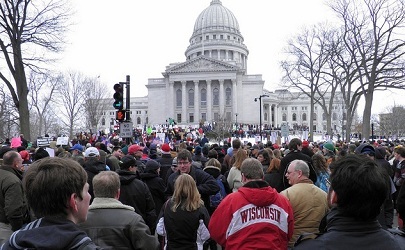 Citizen Action members are already fully mobilized to support the Governor, holding news conferences in Appleton and Wausau and hosting 11 watch parties during Thursday night's State Budget Address. Robert educates us on the devastating potential impact of a big push by hospital lobbyists for a "private option" insurance scheme to replace BadgerCare Expansion. We review newly announced state budget provisions, including nonpartisan redistricting, freezing voucher and charter schools, and in-state tuition rates for all — regardless of immigration status. 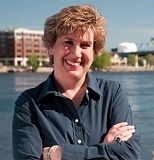 We close the show by exposing a shameful GOP effort to blackball Nicole Safar from Planned Parenthood--a previous guest on Battleground Wisconsin and friend of Citizen Action--from serving in the Department of Health and Human Services. MADISON - New Governor Tony Evers and Lt. Governor Mandela Barnes take to the air to talk about their 2019 budget. Governor Tony Evers: Hi everybody! I’m Governor Tony Evers. Lieutenant Governor Mandela Barnes: And I’m Lieutenant Governor Mandela Barnes. We’re just one day away from releasing our 2019 budget, and we think you’re really going to like it. Gov. Evers: Mandela and I hosted listening sessions around the state to learn about issues you wanted addressed in our budget. We took all that feedback you gave us and made sure it was incorporated as much as possible into the budget. We’ve put the finishing touches on it, and I’m proud to say that this budget was built by Wisconsinites and for Wisconsinites. Lt. Gov. Barnes: This budget tackles some really big issues. We’re going to be making healthcare more affordable and accessible. We’re bringing science back to the Department of Natural Resources and making serious investments to combat climate change. Gov. Evers: We’re cleaning up Wisconsin’s drinking water, we’re lowering taxes for hardworking families, and we’re funding education so all of Wisconsin’s kids have the opportunity to succeed. Lt. Gov. Barnes: This budget, like everything the governor and I do, is for you. We’re excited to keep listening, learning from, and working with people like all of you, as we work to make Wisconsin a more sustainable and more equitable state. Gov. Evers: So thanks for all you've done to help us put together this budget. We can’t wait to show it to you.